It’s 6:30pm in Accra and the lights are on! Complete all the assignments of Blogging 201 (because I’ve signed up before but failed to do even one assignment). Hoping and cautiously optimistic that I can use these two events to galvanize me back into consistent blogging here at Kinna Reads. 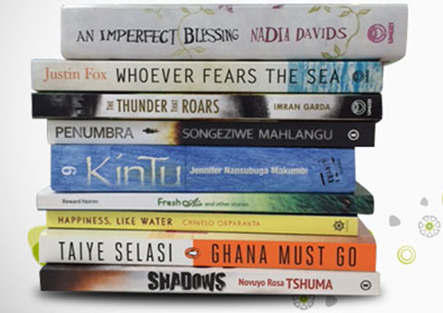 Reading: I have six out of the nine books that made the longlist of the 2014 Etisalat Prize for Literature, including the three shortlisted books (thanks to Nana Darkoa and the folks at Etisalat). I’ve this idea that I will read these books before the 2015 longlist is announced. I’m almost done reading the 2014 winner, Penumbra. I’ll probably read Kintu next. Relieved: Schools have reopened; the 9-year-old is back in school! We had a great holiday period. Highlights include Chale Wote 2015 and a two-week stay in our villages celebrating Ahobaa Kese, the annual Big Harvest Festival in our traditional area. I’ll end with this picture taken by Fiifi Baidoo at the Saturday Grand Durbar. I’ll post a picture essay later. Wishing you luck with all your goals – Happy Bloggiesta! Thank you. I’m hoping to make a dent in my backlog of books to review. Welcome back! I’m also doing the wordpress Blogging 201 Course at the moment and enjoying it. Looking forward to reading your review of Penumbra – still have to get myself a copy but definitely want to read that one. I am participating in Bloggiesta this year too and attempting Blogging 201 but so far I am not update on those assignments. Welcome back. The goals seen achievable. Have fun. Welcome back & good luck with all your goals. Thanks! Hoping to write some reviews this weekend. Good to see you back! I’ve been mostly absent over the summer too, but finally getting back into the routine now that my boys are back in school. That’s an amazing photo. I look forward to hearing all about what you’ve been up to./reading over the summer. Then welcome back to both of us. Of course, you’ve been far more consistent with blogging this year that I have been. Looking forward to your reviews as well. welcome back… I cannot wait to hear from you!!! Thank you, Mary. And my congratulations on your wedding. The pictures and your write-ups are wonderful. A life filled with all the joy possible for you and your beau! Great pics and welcome back, been offline myself and know that relief of school being back in session, slowly getting back to my own routine, but wow, that’s some challenge you’ve set yourself, good luck with the transition! Thanks Claire. Looking forward to posting more here. Taking it one post at a time. I’m glad you are posting again and so glad I found your blog (I do see familiar faces here). 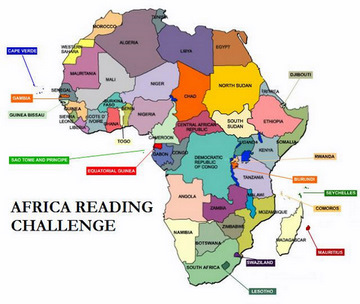 I get inspired to expand my African reading every time I visit to balance my South African obsession. Thanks. I need to read more South African literature. Luckily there are two SA books in the Etisalat pile. Thanks for leaving a comment. Thanks. Yes, WordPress has 6 or so short courses. Sign up may be closed for now since the course has already started. But please check WordPress’ Daily Post blog for information.